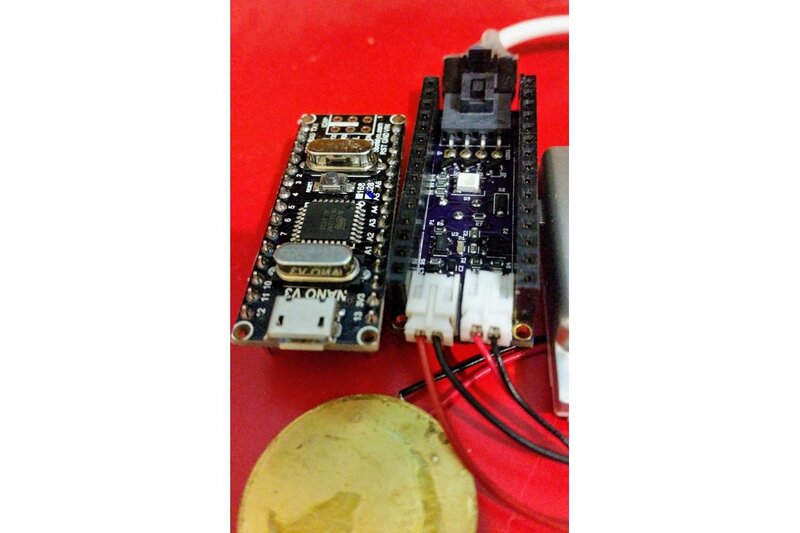 An Arduino Nano shield to drive 5V RGB strips based on piezo contact microphone signals typically from Drumbeats. One of my colleagues is member of the Adelaide Samba drumming club - SaSamba. I guess he was a bit jealous of the feathered samba dancers getting all the attention during a gig. So he brought up the idea of a sound/drumming activated light system for the band. 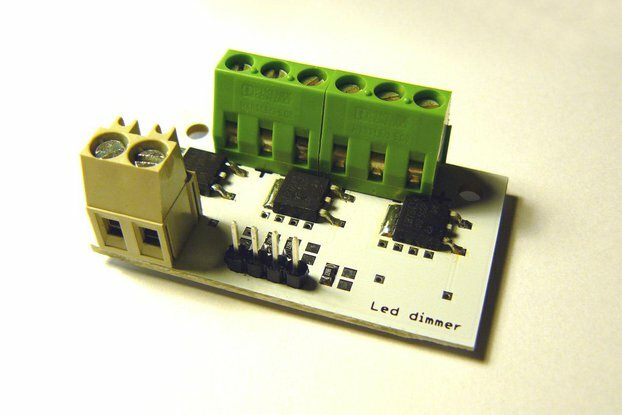 This very small form factor shield includes everything you need to build a percussion controlled lighting system. 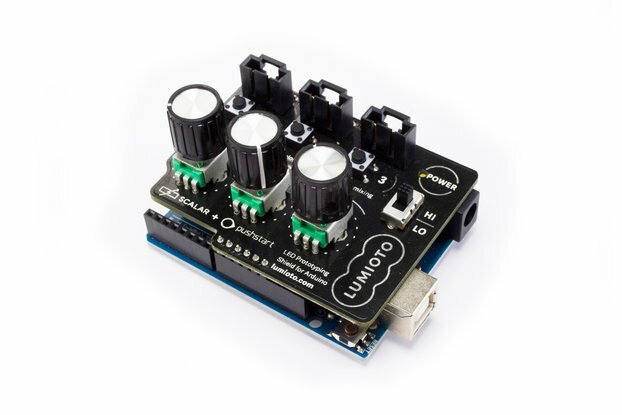 A piezo charge amplifier is included using the TLV2771 Precision opamp from Texas Instruments. 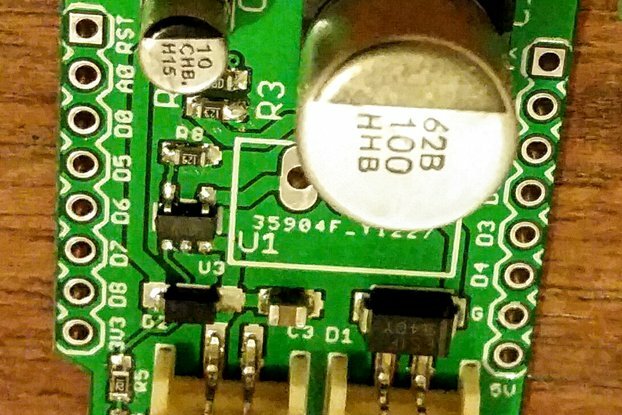 3 N-channel Mosfets capable of driving upto 2A power the RGB channels. For convenient deployment in a band and permanent installs a 1S battery charger is included on board, drumlights can be recharged over USB without need for swapping batteries. Each drumlights board will come with a cheap Arduino Nano with CH340 and a Piezo with 1Mohm load resistor. 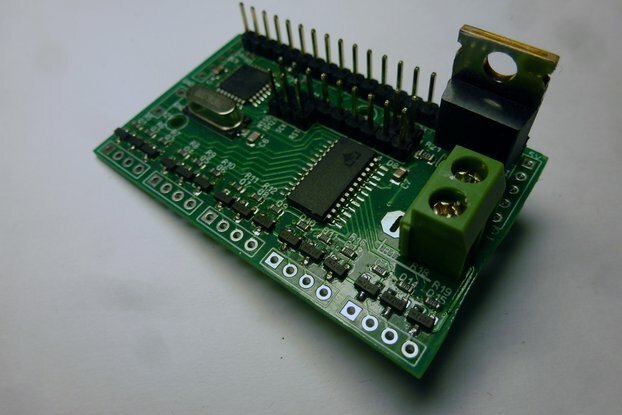 If you would like to use a genuine Nano or a compatible board such as the STM32 Nano board please source it separately. I will also include a cable assembly with the very sturdy molex nanofit connector for attaching LED strips. Led strips are not included, in our assembly we sourced 5m strips and cut them to suit individual drums. The 12V LED strips are cheaper and much more common than the 5V counter-parts, also in this design the 5V strips are only driven by 3.7V lipo input. In future versions I will include an adjustable boost converter to drive higher voltage LED's. I typically sell off a batch of prototypes to fund the build of the next iteration. These are the first few boards I have produced and contain some work arounds to account for design errors. Please contact me for details if you are interested in purchasing them.